Do you live in the South? Check out the event at the Delta South location on March 6, 2019 instead! 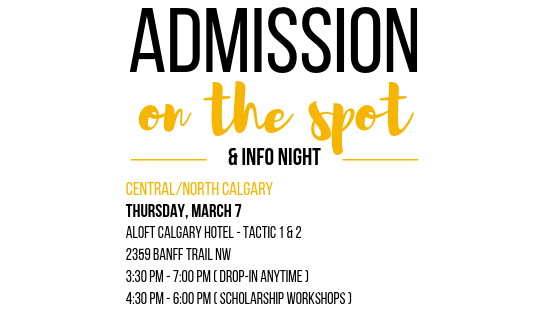 Admission on the Spot is an event designed to help students fill out their application to the U of R. Students can bring their high school transcripts to the event and have their application processed immediately, and if admissible, students will be conditionally accepted to the University of Regina. * Students who are applying to Competitive Entry programs (Faculty of Nursing) will NOT be admitted on the spot. However, they can check if they would be admissible to their second choice faculty and still receive the waived application fee. 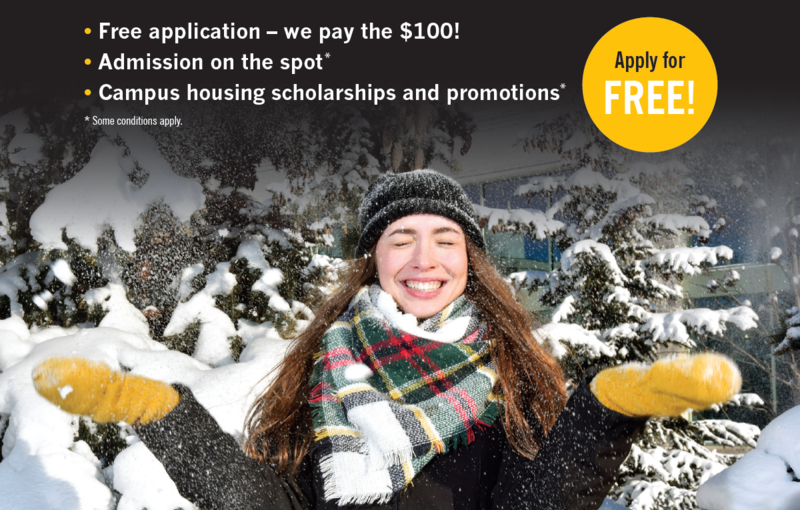 If you'd like to speed up the process, send your transcript (PDF file) to erica.chan@uregina.ca ahead of time! Don't forget - Delta South location is on Wednesday, March 6!